Before there was Facebook, Twitter, MySpace, Quora, blogs, and del.icio.us, there was the message boards or online forums. 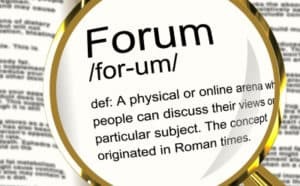 Forums were one of the earliest forms of social media where people created an account and joined the discussion on just about anything. And by anything, we mean everything—from raising dogs to gardening to home improvement and yes, even things such as My Little Pony and LARPing. Depending on the forum involved, the numbers could be as high as thousands of conversations per day. Some forums have thousands of users interacting with one another. For businesses, forums and message boards were more or less the pioneer way to engage customers. It allows you to have conversations with customers in an informal manner. It gives your customers a venue to air questions and complaints. It also gives you and other users a chance to address the concerns raised in the forums. If used right, your forum posts could also paint you as an expert on the subject. It has some search engine optimization benefits as it provides an endless source of links, both incoming and outgoing, for your website. What’s more, any activity on a forum could help you keep your content fresh and new. But basically, business-related forums provided a great place for business owners to get to know, talk to and engage their customers. This is why with the advent of Facebook and Twitter, message boards and forums somehow lost steam. For one, people took their conversations, rants and raves to social media where they are connected with people who matter, rather than strangers who become newfound friends. Social networks are also less prone to censorship and have less rules to observe. In short, the customers lost interest in signing up for different forums and just focused their attention on social networking. But are forums dead? Has it gone the way of MySpace and Friendster and other social media platforms that peaked and then disappeared forever? Even if you have 5,000 friends on Facebook, you will be hard-pressed to find another person with the same interest in, say, cross-stitching with the lights off. Now, if there is a forum for that, you will find that you are not unique with your interest at all and that a few hundreds scattered around the world also love cross-stitching in the dark. While that may be an extreme example, think of how you would find people interested in your hobbies such as gardening, BB guns, off-road racing or airsoft. Those who work in highly technical fields swear by the help they get from forums. Not only do they get answers to questions they pose, they can also get it immediately just by back reading on what has already been posted on forums. For example, Internet marketers wanting to know more about local SEO could easily browse through the help forums hosted by Google. There are now forums that bring posts to their users on mobile apps. If they do not, you can download an app called TapaTalk so that you could read forum posts on your iPhone or Android device. Forum posts, replies and whole threads are being shared on Facebook and Twitter. 1. If you have a consumer product, then you would do well if you focus on the lifestyle of your current and potential customers. For example, focus on kitchen stuff, cleaning tips or gardening knowledge. Encourage your users to share their experiences and advice on how to use your products or something similar like it. 2. 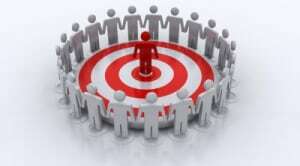 Look for a niche market that you serve and create conversations that would interest them. For example, if you are an SEO professional, you might want to start threads on real user experiences that got them banned from Google, or what worked for their websites from a SEO standpoint. 3. 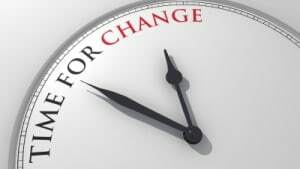 Do not market too much on message boards and online forums. You do not want to turn off your Facebook fans by always selling your products and services. You simply follow the same principle on online forums. Join the conversation and suggest alternatives for issues raised. If you think that your product is the best solution, then suggest it. But if you think that there are comparable or better products out there, say so. This will only boost your credibility and your customers would love you for your honesty. 4. Be active in the conversation. The best thing about putting up an online forum for your business is that you get to talk about something that you are an expert on and it is a subject that you are interested in. So it does not make sense that you should skip out on the conversation, especially when your customers are participating. 5. Post FAQs, how-tos and other resources on your online forums. 6. Use online forums as an informal focused group. If you are thinking of launching a new product and want to know what features would be appreciated or if you want to make sure that your new user license agreement is acceptable, then create a thread for it. This guest post is brought to you by SEO Inc; a Social Media Marketing Firm that understands the power of the original social media formats. The point is to get involved wherever your target audience gravitates towards, whether it’s Facebook or old school message boards.